Friday Night Lights this is not. 2012 Best TV Show Madness Bracket Tournament – Second Round Voting Continues with Top Seeds Burn Notice, Modern Family, Breaking Bad, Community, New Girl, Survivor, Dexter, Big Bang Theory and More! 2012 Best TV Show Madness Bracket Tournament – First Round Voting Begins with Top Seeds Burn Notice, Modern Family, Breaking Bad, Community, New Girl, Survivor, Dexter, Big Bang Theory and More! 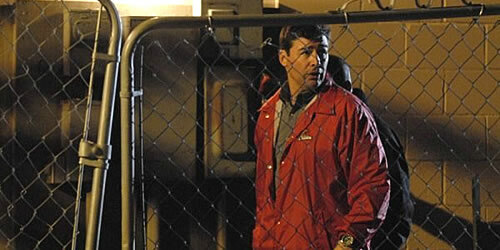 Pan Am 2011 Spoilers: Which Friday Night Lights Star Is Joining The Crew? New TV Shows – How long do you give them? Other leading Emmy nominees include Boardwalk Empire, Modern Family, Saturday Night Live, 30 Rock, and Game of Thrones. Because Navy SEALs are in right now, Hollywood will do its best to make us forget that movie with Charlie Sheen. Friday Night Lights mom to star in new TV series from the creators of Glee. One of the showcases of last year's SXSW Film Festival to get a small theatrical release this weekend. NBC finds its Wonder Woman. Charlie has apparently found his angels. Friday Night Lights Finale Spoilers: Riggins Returns To Romance Becky? Tami To Move To Pennsylvania?